Good afternoon to all my faithful friends and followers. Today, I thought I'd post a short note and brag a bit about some of my reviews. 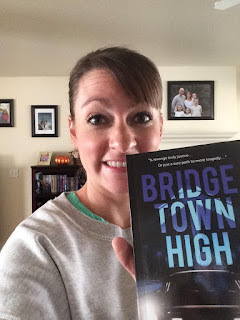 So far, I've gotten only 13 reviews for "Bridgetown High." If Amazon is going to put my book higher on their recommended list, I need many more, at least double what I have now. "Loved the book! Couldn't put it down. Stayed up until 3 am. I am familiar with the places Mr. West wrote about which made it even better! Very well written. I can't wait for his next book! Soon I hope." Not long, but effective, and very appreciated. If you read "Bridgetown High" and enjoyed it, please consider writing a review. Hi, all my faithful friends and followers. I see my email list is growing (slightly, ha ha). Welcome to all of you. Today, I'm going to talk (type) a bit more about Dean Koontz's recommendations, that being "clear, believable motivations." I mean, if the motivations ain't clear, who cares? I think motivations are closely related to plot. They are what carry the story, but they also need to be believable. So, how do you do that? In my novel "Bridgetown High," Mark's motivations are obvious. In Chapeter 1, page 1, he is viewing his family in their closed coffins and the longer he looks, the more angry he becomes, until at the end of the chapter he vows revenge against the person who killed them. Pretty clear? He's got a motive. I've read some wannabe writers who just didn't have the motivations. It was more like reading a travelog. As the story went along, the motivations came but still a bit fuzzy. To make my characters' motivations believable I use logic. I'm a stickler for logic. When beginning a story, I ask myself, why would each character think or act the way they do? And, yes. Each and every character needs a motive. Even minor characters can have a motive, though all the main characters NEED to have a motive, including the antagonist. In my novel it's Jeff (if you have read it you'll know what I mean). Jeff has his motives too. He is from the poor side of town, falls in love with a beautiful girl, Genie, and hates Mark for stealing her away, though he doesn't understand why she would go with Mark instead of him. I don't want to give away too much of the story, but know there's motivation there. Work on it. This will be your assignment for the coming week. I want you all to report back and let me know how you are including motives and how motive is helping round out your characterization as well as growing the plot. In the meantime, if you are finding these little teaching sessions helpful (or not), please "Share" and "Like" this blog post on Facebook , and "Re-tweet" it on Twitter yet. Also have you signed up for my email letters on my Blog Site? This will help greatly with the sales (and I need your help here). I would love to see you there and have you introduce yourself and give comments to my posts. Also keep in mind "Bridgetown High" is still available on Amazon, Goodreads and Barnes&Noble and a few other places I can't remember, and for this week only, it's on sale for $0.99 for the electronic copy. Also, you can read some GREAT reviews of Bridgetown High on all of these sites, but especially Amazon and Goodreads. Hey, all my faithful followers and friends. Have you seen it? Go to my page at Amazon. Do you see it? The price of my novel's kindle version is reduced. Share this to your friends. I need to sell 10,000 copies by July 10th, the end of the promotion period. (DREAM!). Ha ha. Anyway, Share this with all your "friends" on Facebook and Twitter. Today I thought I'd mention some more about characterization, but more specifically about building tension. You need tension or reading a novel without tension is a waste of time. You need to have something the protagonist needs, or is having trouble with. So, how do you achieve that? First, like I said, having some kind of trouble, or as Dean Koontz says "terrible trouble." The beginning of that should begin, or be at least hinted at, from the very first sentence or paragraph, and should be expounded on by the end of the first page. Another tool to build tension is in every scene -- in every conversation, be it protagonist versus antagonist, or even between friends. Every conversation should be an argument, if you will. Not hateful or condemning, but disagreeing about something. 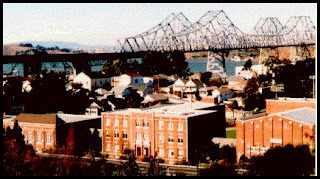 Take a look at "Bridgetown High." I've tried hard to make the conversations between characters in every scene, including the opening scene, a disagreement, or an argument, about something. In the opening scene, Mark is having internal dialogue where he feels guilty about what happened to his family. Then, he argues with his grandmother as he vows to get even with whoever killed his family. I hope that's understandable. Anyway, as always, please remember to "Share" and "Like" this blog post on Facebook , and "Retweet" it on Twitter, then PLEASE, write a review and post it on all the sites where you can find my book (especially on Amazon). Also have you signed up for my email letters on my Blog Site? I would love to see you there and have you introduce yourself and give comments to my posts. And also keep in mind "Bridgetown High" is still available on Amazon, Goodreads and Barnes&Noble and a few other places I can't remember. 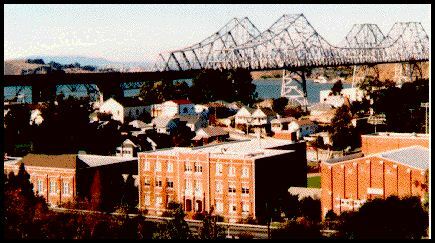 You can read some GREAT reviews of Bridgetown High on all of these sites if you need more info about Bridgetown High. Hi, all my friends and followers. How is your writing coming? Have you decided on a title yet? I know, titles are not my thing either. "Bridgetown High" was a lucky decision. If you have a title, or at least a working title, please send it in the "Comments" below. I think others here may like seeing what you are working on. ... and maybe a couple others I can't recall right off. The point is, you don't need to decide on a title right now, and there's a strong possibility that if you go with a traditional publisher, your publisher will change it anyway. I guess I was fortunate. My publisher "Limitless Publishing" didn't change my title. Hey, I got another great review. What do you think? Well-drawn characters and exciting. I enjoyed getting to know the characters in this book. We meet seventeen year old Mark Wilkerson attending the funeral of his parents and little sister and learn they were killed in a car accident on Christmas eve that he and his other younger sister survived. The story follows him as he deals with this immense tragedy by trying to find out exactly what happened and who was responsible. There is a message about forgiveness and healing in this book. I liked the emphasis on forgiveness from a Christian standpoint. 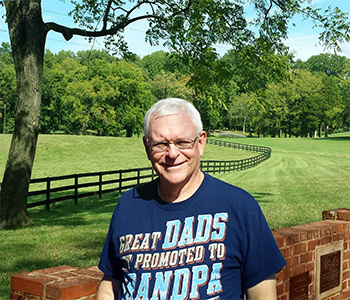 I enjoyed the parental wisdom of Mark’s grandmother, who courageously takes over the care of Mark and his sister while dealing with the death of her son, daughter-in-law, and grandchild. She often quotes her mother and one of the best is “’what we see today as a tragedy, we may look back at tomorrow as a blessing’”. Of course Mark balks at this advice, but the reader hopes he will one day accept what has happened and begin to enjoy life again. He does, and the reader gets to go along for the ride. The book is enjoyable and exciting. This book is worth the read and stays true to the genre with no profanity or sexual content, though some of the characters use alcohol and drugs. There is some violence, but no more than is seen in any television program. I highly recommend it for adults and young people alike. So, until next time, please "Share" and "Like" this blog post on Facebook , and "Retweet" it on Twitter, then PLEASE, write a review and post it on all the sites where you can find my book. Also have you signed up for my email letters on my Blog Site? I would love to see you there and have you introduce yourself and give comments to my posts. And also keep in mind "Bridgetown High" is still available on Amazon, Goodreads and Barnes&Noble and a few other places I can't remember. You can read some GREAT reviews of Bridgetown High on all of these sites if you need more info about Bridgetown High. In fact I just got another great review from a follower that should be posted in the next few days.